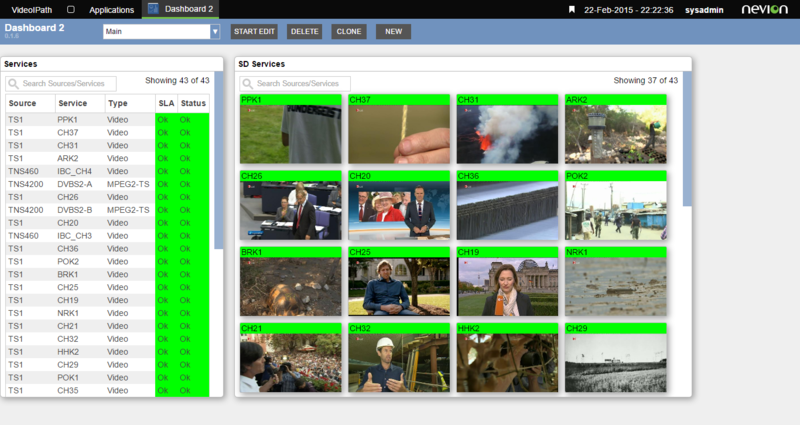 Powerful media service monitoring solution for VideoIPath that even non-expert users can operate. Loading monitoring profiles to the monitoring probes to accommodate to planned changes in the network. VideoIPath provides an easy-to-use and powerful media service monitoring solution that even non-expert users can operate. This provides access to key performance indicators targeting a variety of users from operations, engineering, sales to external customers. The solution is designed to simplify day-to-day operations, monitor compliance with Service Level Agreements (SLAs), as well as rapidly identify and resolve the root-causes of any issues in the network, thereby saving on the costs associated with the loss of signals and proactively addressing potential service affecting issues before they escalate. The solution incorporates Nevion’s award winning VideoIPath network management software with trusted network monitoring probes from the nSure product family, including the flagship TNS4200 solution, and offers a complete solution for end-to-end monitoring without the need for costly and time consuming integration per project. The solution can also take monitoring data from other equipment, from Nevion or 3rd parties, that are part of the transport chain, and correlate this against services. 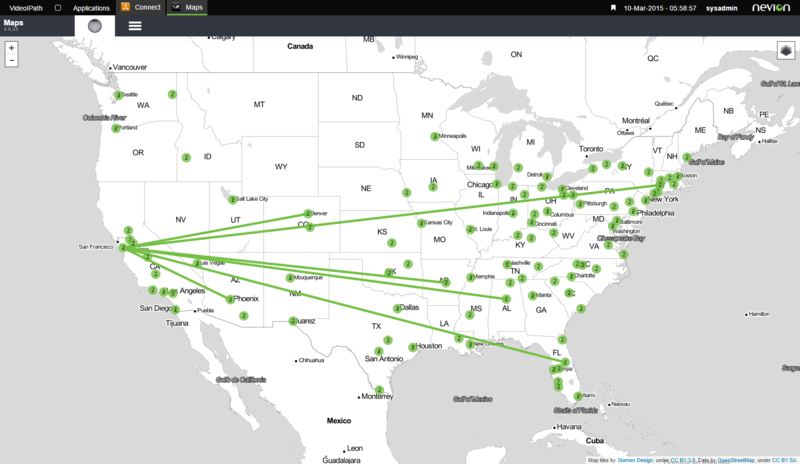 Through an intuitive and customizable GUI, VideoIPath provides an aggregated overview of the availability and the performance of the services across a network, particularly at the vulnerable hand-over points between different networks and provider/customer, with the ability to deep-dive into specific equipment to get to the root-cause of issues affecting the services, and quickly act upon this. Monitoring media networks is fundamental to guarantee the Quality of Service (QoS) for the real-time transport of professional quality content. However, monitoring all the streams and services across the whole transport chain can be challenging, particularly where there are mutilple hand-over points. Nevion provides easy-to-use and powerful monitoring solution that even non-expert users can operate. The solution uses probes to monitor the signals and streams present in the network and report measurements to VideoIPath. This data is correlated and aggregated by VideoIPath, which can show both the current status of the network and historical views. This enables users to gain a deep understanding of the performance of their network, and rapidly get to the root-cause of any problems. This is particularly important where there are multiple hand-over points between providers and users of media networks, and compliance to Service Level Agreements (SLAs).